Delivery from £36.37 to United Kingdom in 3 - 4 weeks. 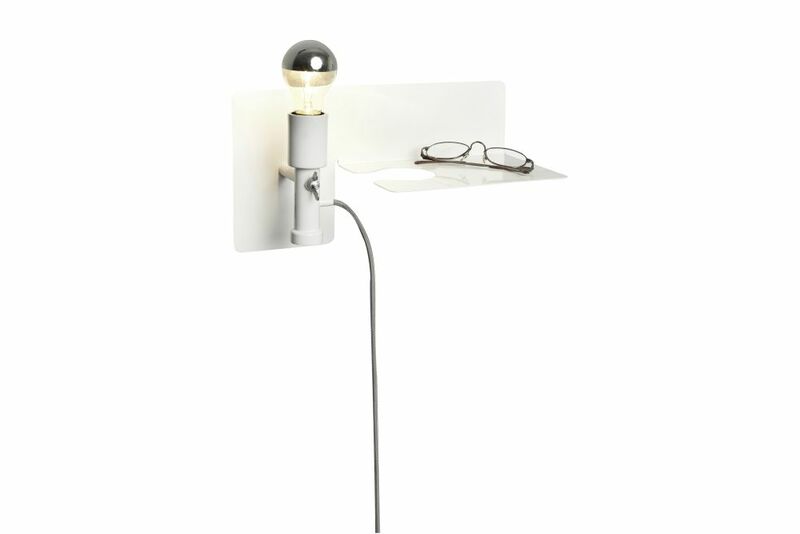 Sunday is a wall light and shelf in one. It is can ve lit using either a bulb or a candle. This petite design object was created by Frost Produkt after being invited by the Norwegian design magazine, Design Interiør, to create a lamp within the timeframe of a week. The designer Martina Carpelan created Sunday for Frost Produkt. Frost Produkt is a young Norwegian product design company based in Oslo, offering both self designed products and consultancy services. The office was founded in 2002 by the two brothers Jann and Sondre Frost, and today consists of five people all busy designing in an old stable on the outskirts of the city. Frost Produkt’s ability to combine conceptual, functional and technical solutions has led them into working with a wide variety of design related projects. In the interior project scene, they have created products such as Moose Mat, Shoe Shelf and Posta. Furthermore, they have developed public transportation solutions like the Smart Bike, the Oslo free public bicycle and the similar Bicing for the City of Barcelona. They have created industrial installations for Tomra and sports equipment solutions for leading Nordic industry players such as Alta Bike, Extrem, Bula and Kari Traa. They have also expanded their reach to installations of art, in cooperation with Camille Norment and Knut Åsdam. Frost Produkt recently received the Wallpaper* Award 2010 for a homeware series designed together with Stokke Austad.